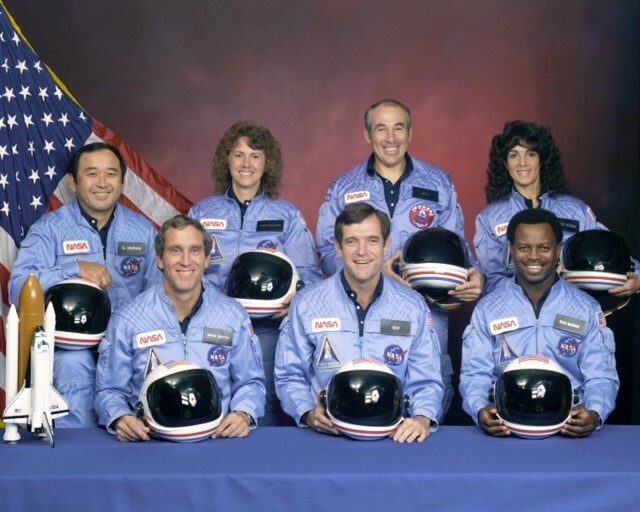 January 28th marks 30 years since the Space Shuttle Challenger disaster. On that day in 1986, the NASA Space Shuttle orbiter broke apart a mere 73 seconds into flight. The vehicle disintegrated over the Atlantic Ocean. All seven crew members perished. Among them was Christa McAuliffe, who would have been the first teacher in space. Initial post-incident inquiries determined a catastrophic O-ring failure caused the explosion; an investigative commission cited a flawed decision-making process was also to blame. Such a tremendous loss put the program on hiatus and Congress on an earnest search for answers. The Space Shuttle program resumed not long after the investigation closed. Its three decades of stratospheric history is the subject of NASA’s “Celebrating 30 years of the Space Shuttle Program.” Contained within the coffee table-worthy publication is dazzling color photography. Each page has quick facts on every orbiter mission and crew. Milepost moments, such Hubble Telescope deployment and the first American woman in space, Sally Ride, receive honorable mention. The book is a love letter to the program’s above-planet discoveries and home planet breakthroughs. That tribute is a reminder of how the story of human space flight—its bounds pushed by the Shuttle program—is one of unsurpassed achievement and tragedy. 30 years and 135 missions defined the agency and inspired a skilled, committed engineer and astronaut workforce. That’s why, year after year, NASA upholds its ranking as the best place to work in the Federal Government. The agency is stocked with grown-up kid scientists living their starry-eyed dream of space exploration. They’re the not-so-secret sauce keeping NASA on the frontline of research and results. The Shuttle’s 2011 retirement was, as Administrator Bolden called it, bittersweet. After all, orbiters Challenger, Columbia, Discovery, Atlantis, and Endeavor helped build the largest human made structure in space, the International Space Station. Some of the bitter to that sweet, of course, is the Challenger disaster. It was a profoundly tragic pause in NASA’s determined mission to reach into the unknown. But it pressed on. Such boundless sight is what makes NASA the world leader in space and a spearhead of the human experience. This entry was posted on Wednesday, January 27th, 2016 at 12:44 pm and is filed under Disasters, NASA. You can follow any responses to this entry through the RSS 2.0 feed. You can leave a response, or trackback from your own site.